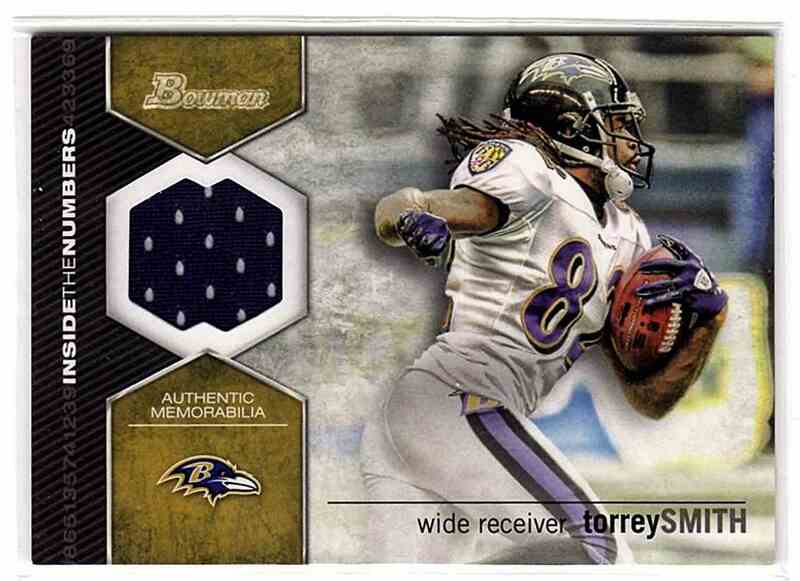 This is a Football trading card of Torrey Smith. 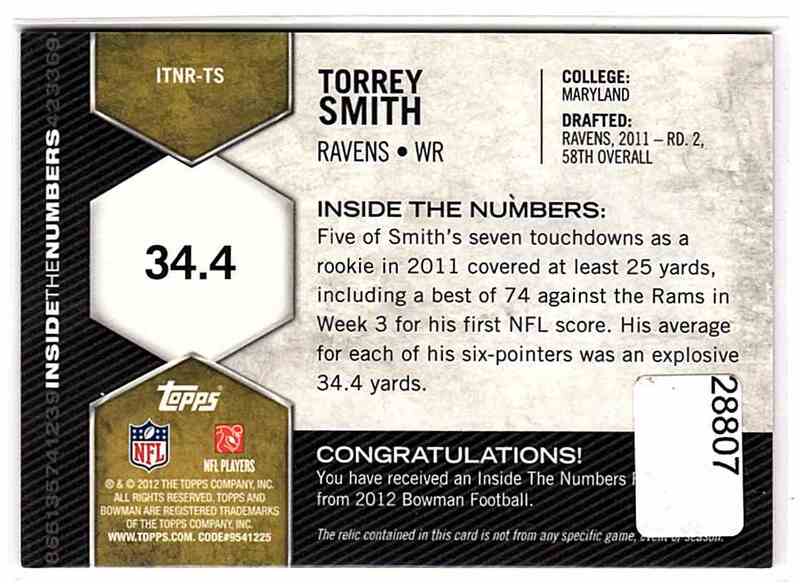 It comes from the 2012 Bowman Inside The Numbers Relics set, card number ITNR-TS, embedded Jersey 1 Colors. 28807. It is for sale at a price of $ 3.00.